According to Park Inchun, it was 9:28:24 am in the morning of Sept. 26 that a USS mine countermeasure ship called ‘USS Chief, MCM-14’ entered the port of Jeju navy base. We haven’t heard the purpose of its visit. But its homeport is Sasebo, Japan. It belongs to the 7th fleet of the US Pacific Command. Trump does not care to make the Korean peninsula as a battlefield (in the name of alliance!) regardless of Korean citizens’ lives. Jeju is not an exception. 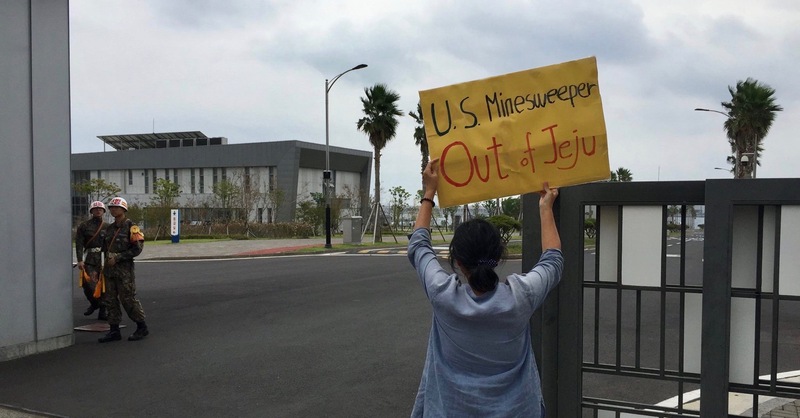 In any outbreak of war, Jeju would be one of the launching sites. It can be attacked first. We do picketing for the reason to save innocent young lives who may be first sacrificed in the war, also. Kog Young-Dae has said the Jeju navy base is a foothold for the integrated Ballistic Missile Defense system in the Northeast Asia region. 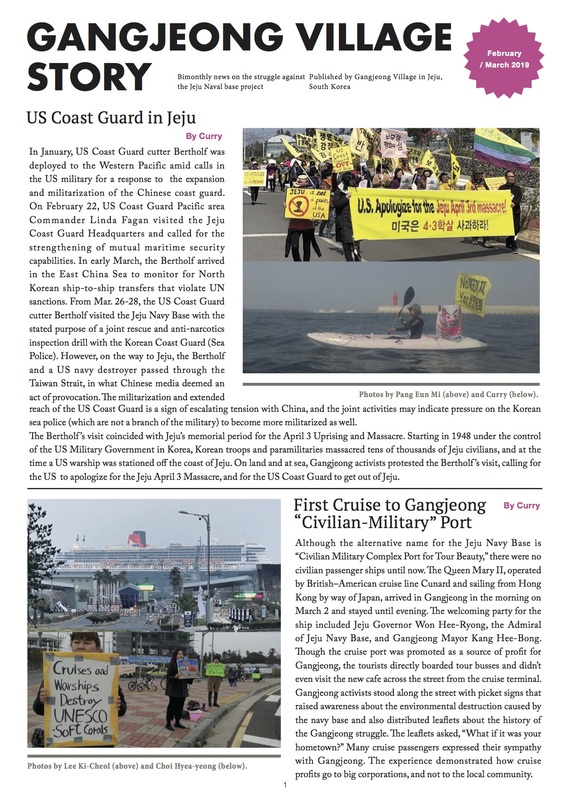 The ROK-US-Japan maritime war exercises occur in the Jeju Sea. The sea between Jeju and Sasebo (located on the same latitude with Jeju) is one spot. [Aug. 15-31] USNS Henson (T-AGS-63), a pathfinder class oceanographic survey ship, surveyed the Jeju sea water. 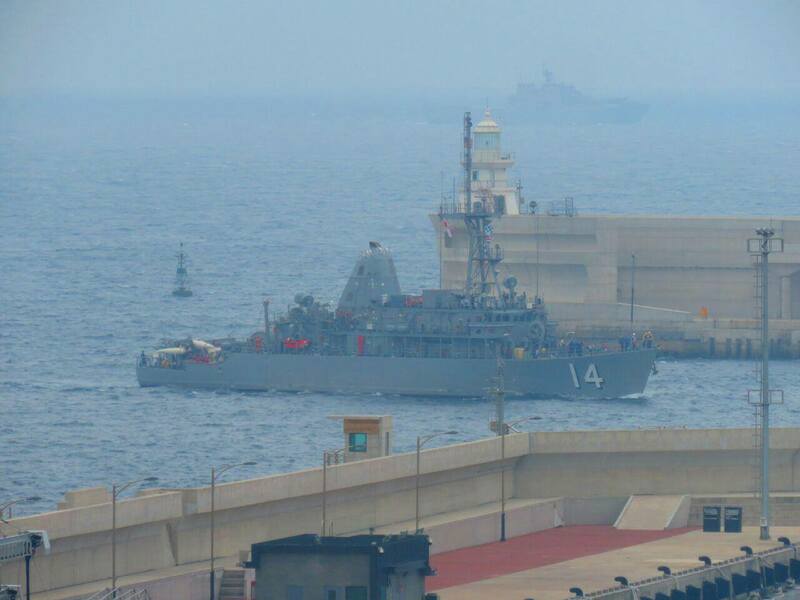 [Sept. 26] The USS Chief, MCM-14 entered into the Jeju navy base, It belongs to the Pacific fleet of the US navy, Its homeport is Sasebo.